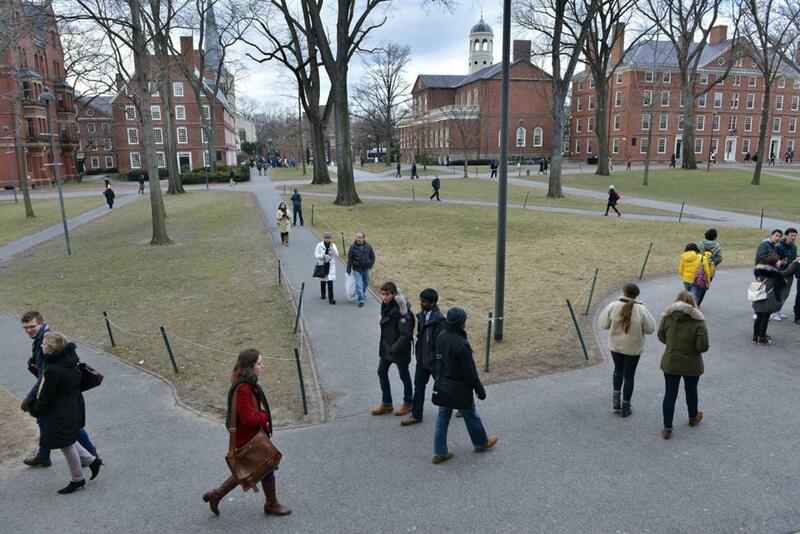 Harvard University was in second place on US News & World Report’s annual college and university rankings. Several New England schools once again made it to the top of US News and World Report’s annual college rankings, some trading places in seniority on the lists and others coming in at a tie. For the eighth year in a row, Princeton University was ranked first in the national universities category, leaving Harvard University in second place, according to the rankings, which were released Monday. With an overall score of 96 — Princeton was the only university with a score of 100 — Harvard is ranked third in graduation and retention, and the university also had a 96 percent graduation rate. Yale University once again tied in third, and the Massachusetts Institute of Technology moved up from a tied fifth-place ranking last year to a tie in third place this year. 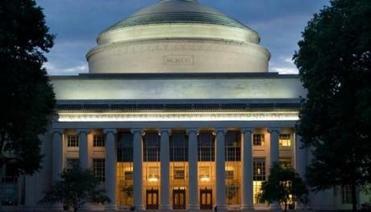 MIT was also ranked first for best engineering programs, where the highest engineering degree offered is a doctorate. Other familiar Massachusetts schools were included in the national list. Tufts University came in at 27th, Brandeis University tied for 35th, Boston College tied for 38th, and Boston University and Northeastern University both tied for 42nd and 44th, respectively. The University of Massachusetts Amherst also saw a five-way tie for 70th place. A look at where New England colleges and universities ranked on the list, which was released Monday. In the category of best national liberal arts colleges, Williams College in Western Massachusetts once again came in first place, a title it’s held for 16 years straight . The school was the only college on the list with a 100 overall score. It tied in first place for graduation and retention rates and had a 94 percent graduation rate. Williams was also ranked first in best value schools. The top national liberal arts colleges have a heavy New England representation. Amherst College once again came in second place, and Wellesley College once again tied for third place. Bowdoin College moved down in the rankings this year, tied in fifth place after tying for third last year. Meanwhile, Middlebury College moved up from a tie in sixth place last year to a tie in fifth this year. The annual listings evaluate schools based on up to 16 different areas of academic excellence, assign the schools an overall score, and then rank them based on those scores. The US News and World Report also did a web exclusive this year with the top ranked colleges based entirely on high school counselor rankings. In that list for national universities, Harvard, MIT, and Yale all tie in first place alongside Princeton and Stanford University in California. For national liberal arts colleges, the high school counselors ranked Amherst, Bowdoin, and Williams in a tie for fourth place, alongside Swarthmore College in Pennsylvania and Harvey Mudd College in California. The US Naval Academy, Military Academy, and Air Force Academy are ranked first, second, and third on that list, respectively. Complete rankings can be found on the US News and World Report’s website.